Shown above: Traffic carved from the 2016-05-28 Threatglass pcap filtered in Wireshark. Shown above: Traffic from the 2016-05-31 first run (no infection) filtered in Wireshark. Shown above: Traffic from the 2016-05-31 second run (infection) filtered in Wireshark. Shown above: Traffic from the 2016-05-31 third run (no infection) filtered in Wireshark. 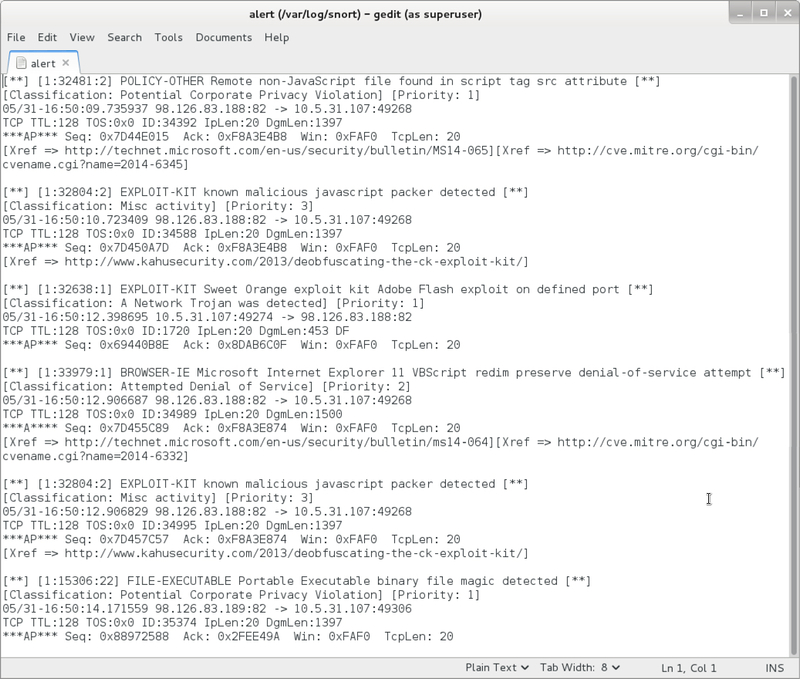 Shown above: Alerts from Sguil in Security Onion using Suricata and the ETPRO ruleset. Shown above: Alerts using Snort 2.9.8.2 and Snort subscriber ruleset when playing back the same pcap.